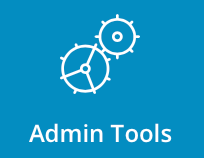 To access system services, sign into the control panel and then click on the "Admin Tools" icon, followed by the "Show Services" link. To start, stop, restart, or reload a service, click on the Actions "+" button and select desired link. Warning: Stopping certain services (such as Apache) will cause the control panel to stop functioning. To access process monitor, click on the "Admin Tools" link followed by "Process Tools". 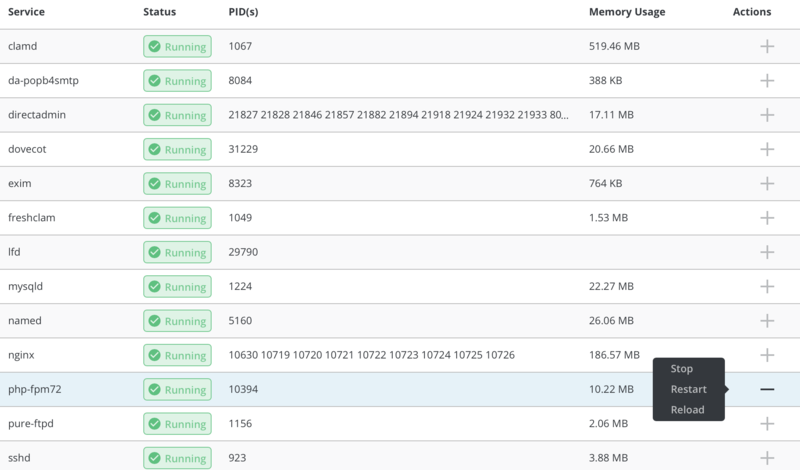 You will see a list of processes followed by detailed information as PID, USER, %CPU, %MEM and more. You can Authenticate to send signals to system, but you will need root password for that. To access mail queue administration, click on the "Admin Tools" link followed by "Mail Queue Administration". You will see a list of mails in queue. You can choose to bounce, freeze, throw or delete selected messages. In order to do so select desired messages by clicking on the box in the left corner of the table and press desired action button. To accesss brute force monitor, click on the "Admin Tools" followed by "Brute Force Monitor" link. From there you can see failed logins from IP addresses with detailed information such as login attempts, log entry, user and filter. Since there is usually many failed logins, you can sort them out easy by IP, Usernames, Skin and Block lists. You may also show list of custom amount of bytes from the end of the file insead of the whole file. 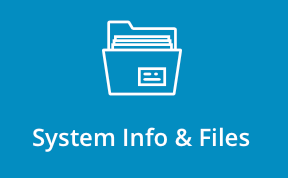 To access system information, sign into the control panel and then click on the "System Info & Files" icon, followed by the "System Information" link. You can view additional information about system uptime, CPUs, memory usage and services. 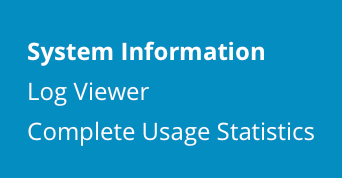 To access log viewer click on the "System Info & Files" icon, followed by "Log viewer" link. From there you will see all avaialbe log files, their location, size, for which process log was created. To view log, press "View" button at the top right corner of the table. You can either open whole log file in RAW format or you can select desired number of lines and even filter desired information using grep command.